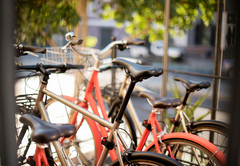 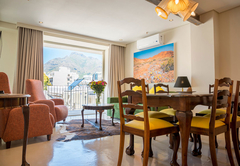 Cape Heritage Apartments is a property providing self catering in Cape Town Central for tourists visiting the City Bowl region. 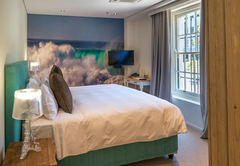 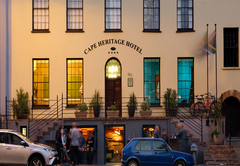 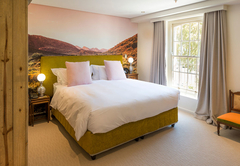 Situated in fashionable Heritage Square, the Cape Heritage Apartments are located in the chic and historic boutique Cape Heritage Hotel in Cape Town with direct access to the vibrant street life. 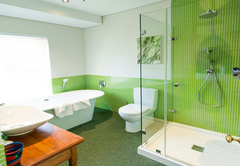 The trendy two bedroom apartments offer the luxury of comfort and space. 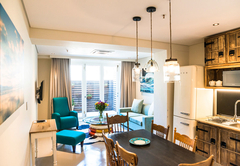 Each apartment has two bedrooms, two bathrooms and a double sleeper couch, making it the perfect space for a family. 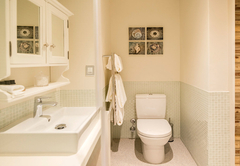 There is also a fully equipped kitchen and a spacious lounge. 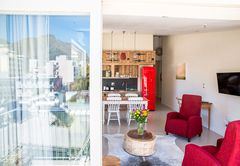 The apartments are uniquely decorated and have a balcony with views of Table Mountain. 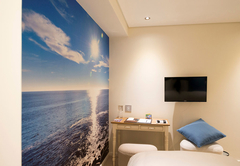 This tranquil room has beautiful portraits of breaking and calming waves. 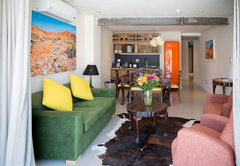 It is difficuly not to feel at home in this spacious, fully equipped, two bedroom apartment. 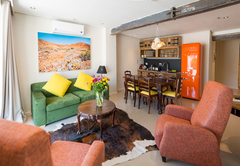 The warm bronze and rich red colours draws you in on a journey to the open expanse of the Karoo. 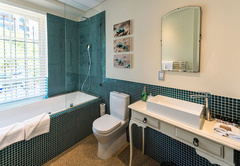 Relax in this stylish, fully equipped two bedroom apartment. 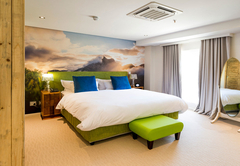 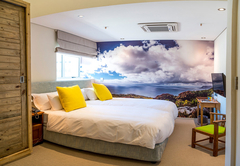 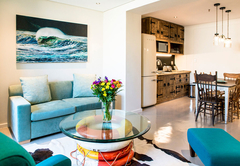 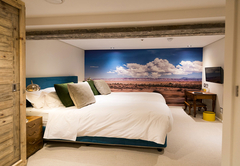 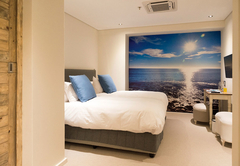 The spectacular views of Table Mountain are reflected in the stylishly decorated interior. 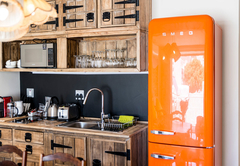 The apartment has high ceilings, a spacious lounge and fully equipped kitchen. 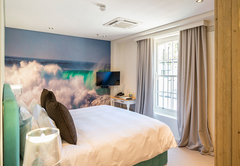 This tranquil room has beautiful portraits of breaking and calming waves. 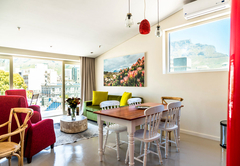 It is difficult not to feel at home in this spacious, fully equipped, two bedroom apartment.